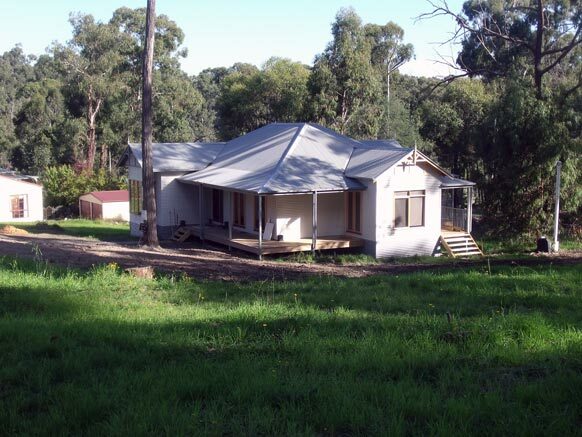 This project in Healesville is a single storey Australian Cottage that boasts 3 bedrooms and 2 bathrooms. It is a single story home with an open plan kitchen and living area complete with a separate lounge. 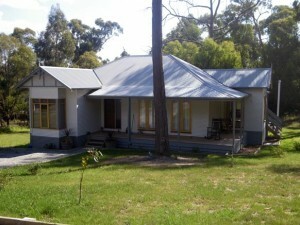 Our client was a first home buyer with a strict budget. 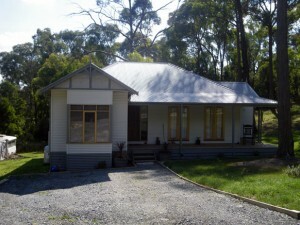 They wanted a 3 bedroom home with character, so they went with the Australian cottage style. This property was in a high bushfire area, so the house was constructed in accordance with the current bushfire regulations. Colourbond cladding was the obvious choice for this build; it was compliant with the regulations and saved time and money as it didn’t need to be painted. During the design and site investigation process, we found a natural water course flowing through the middle of the property, causing extremely bad soil conditions. We overcame this problem by using screw piles as the foundations. 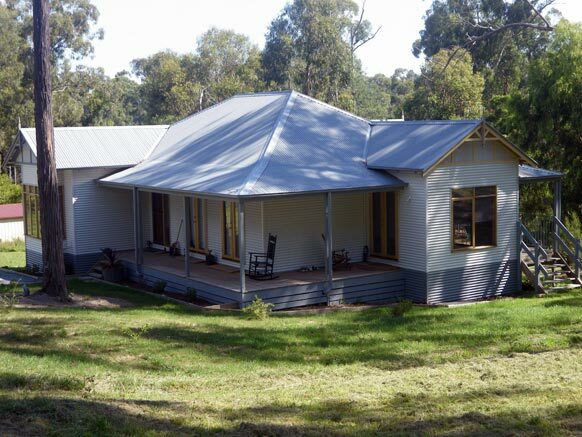 The Australian Cottage design is perfect for any environment and the owners absolutely loved their house and couldn’t wait to move in!